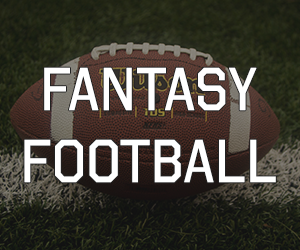 Looking at your shopping list for the fall and winter? I bet you need some new boots. 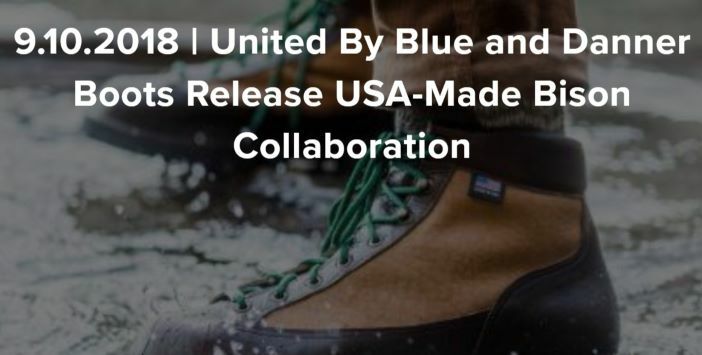 United By Blue and Danner Boots have announced a new collaboration for Fall 2018. With UBB’s expertise in sustainability and Danner’s American heritage roots, the two brands unite to offer a USA-made capsule collection featuring a bison leather boot, bison beanie and bison sock. Danner Boots was founded in Chippewa Falls, Wisc. in 1932. Bison leather is proving to be the not so secret ingredient in making these boots special and unique. The hallmark piece of the collection, the UBB x Danner Light Bison boot, is manufactured with waterproof, Horween bison leather in Danner’s Portland, OR factory. The boot is embossed with a United By Blue x Danner logo on the tongue and is available exclusively in the classic Danner Light silhouette. The collaboration is a rare Bison leather release for the brand. The boot features a 100% waterproof and breathable GORE-TEX® liner, a shock-absorbing Vibram® Kletterlift outsole, durable and cushioning, premium PU midsole and Danner’s iconic stitchdown construction. The UBB x Danner Light Bison Boot, available in both men’s and women’s, is complemented by a UBB x Danner Bison Beanie and Ultimate Bison Sock. The UBB x Danner Bison Beanie is made with a merino wool and bison down blend and features an embossed leather patch on top of a 3-inch marled ribbed knit turn back. The UBB x Danner Ultimate Bison Sock is made with a merino wool, bison down, nylon and polyester blend and features temperature-regulating and moisture-wicking properties to keep feet warm and dry. You can purchase the collection online at unitedbyblue.com/danner, danner.com/unitedbyblue, rei.com and at retail locations including Danner’s factory store in Portland, and at REI flagship stores in Manhattan and Seattle. United By Blue is an outdoor brand driven by the belief that every living creature is united by the blue of our world’s oceans and waterways, and we all share the responsibility to protect them.